• 0.50ct diamond rings give a dazzling and convincing look of a 1.5ct diamond. • All rings have been made Wed-fit so that they can be worn together with a wedding or eternity ring. 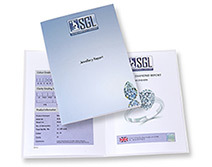 • The diamonds are certified by SGL - Solitaire Gemmological Laboratories, based in Hatton Garden London.